A beautiful star tree decoration for a baby girl's first Christmas. The decoration is made from lovely natural wood and features a hand painted baby girl figure. She is dressed in a baby pink suit with a cute little pink bobble hat. 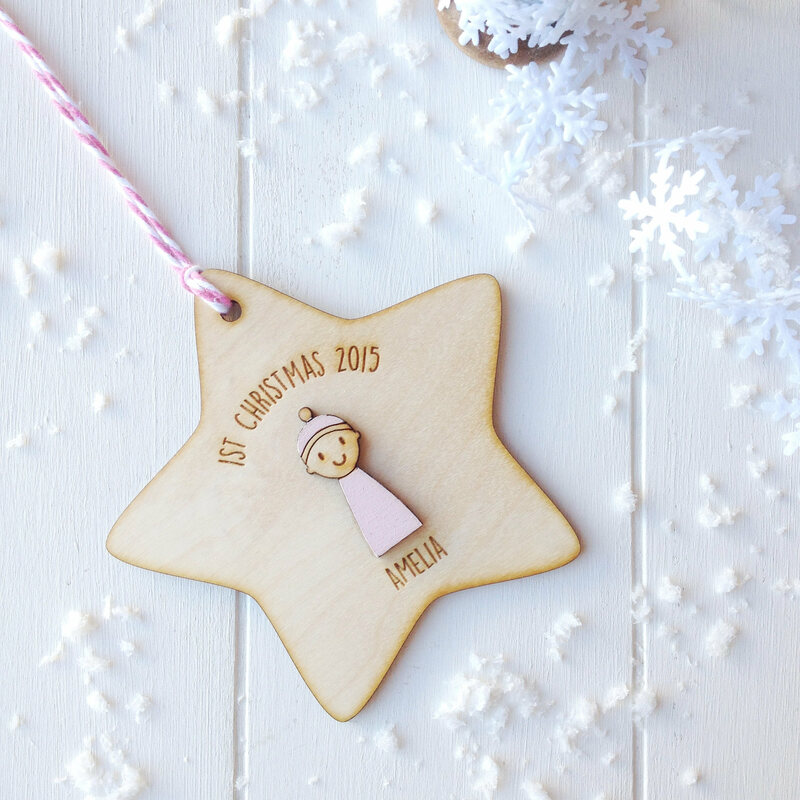 The star is made from beautiful natural wood and is personalised with the year and the baby's name. Each star is made to order and carefully finished with pink and white twine. The star is personalised with the year and the baby's name engraved on the front. Sweet and simple. Will be back for more. My daughter loves finding her ornament on the tree. Wonderfully made. Thank you!